Title: Comprehensive phosphoproteome analysis unravels the core signaling network that initiates the earliest synapse pathology in preclinical Alzheimer’s disease brain. Authors: Tagawa K, Homma H, Saito A, Fujita K, Chen X, Imoto S, Oka T, Ito H, Motoki K, Yoshida C, Hatsuta H, Murayama S, Iwatsubo T, Miyano S, Okazawa H.
Journal: Hum Mol Genet. 2015 Jan 15;24(2):540-58. 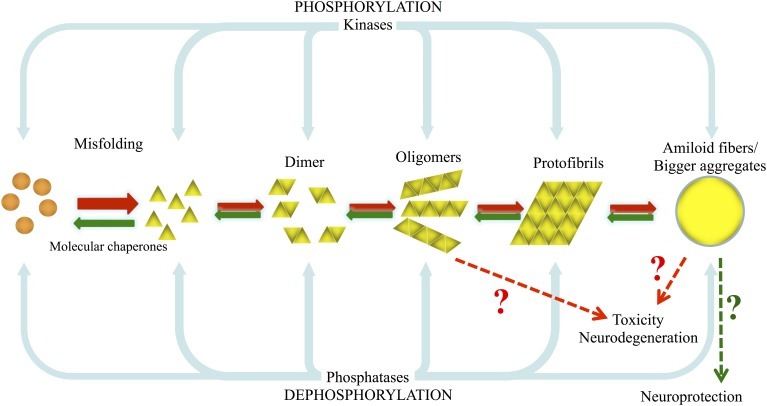 In this study, the researchers wanted to investigate phosphorylation in Alzheimer’s. Phosphorylation of a protein is basically the process of turning it on or off – making it active or inactive – a particular function. From allowing a protein to fold in a particular manner to actually activating/deactivating the function of a protein, phosphorylation is a critical function. And why is phosphorylation important in Alzheimer’s? Phosphorylation affects every aspect of a protein’s life, from it’s conformation and function, all the way through to it’s fate. And it can affect these events in many different ways. But sometimes, this process of phosphorylation can become over active (or dysfunction), and this can lead to problems inside a cell. In the context of neurodegeneration, it is believed that hyper phosphorylation could be involved with the aggregation of proteins like alpha synuclein (in the case of Parkinson’s) and beta amyloid (in the case of Alzheimer’s). For those interested, click here to read a good OPEN ACCESS review on the topic of phosphorylation in neurodegenerative conditions. So what were the researchers actually looking for? They wanted to identify differences in phosphorylation behaviour between normal mice and genetically engineered ‘Alzheimer’s’ mice, and the difference in phosphorylation behaviour between normal human brains and Alzheimer’s affected brains. What they found was rather interesting. They found 17 ‘core’ phosphorylated proteins that were present in both the mouse and human data, and remarkably 12 of these proteins were directly connected and 3 others were linked via one independent protein. Of particular interest in this collection of proteins, however, was one called MARCKS. Myristoylated Alanine-RiCh protein Kinase C Substrate (or MARCKS) is a submembrane protein (meaning it is attached to the inside wall of the cell) that has many roles inside of the cell – from cell shape and motility, to synaptic activity and scretion/transmembrane transport. 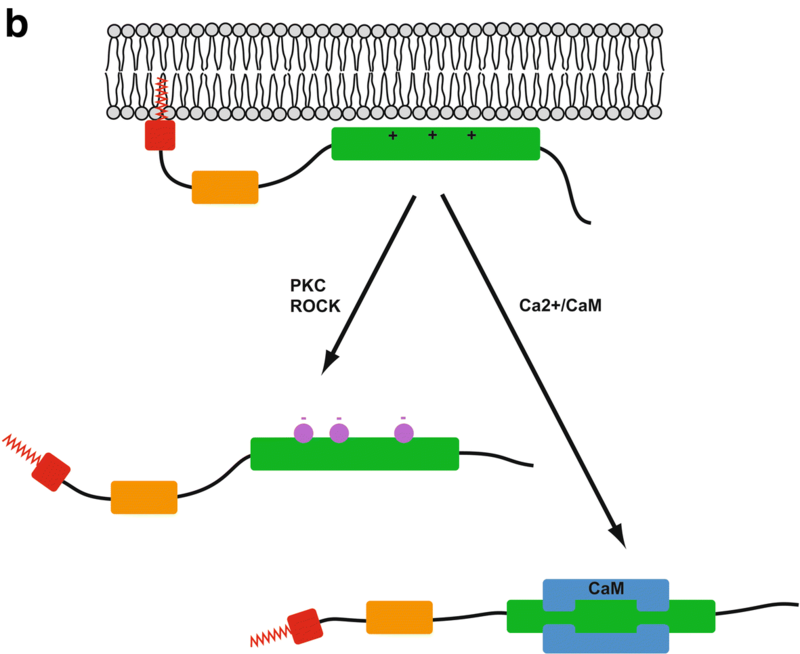 Once it is phosphorylated (by either protein kinase C (PKC) or calcium-dependent calmodulin-binding), MARCKS will move away from the membrane and into the interior of the cells where it can conduct one of its many functions. In mature cells, these functions can include modulating cytoskeletal structures or the movment of vesicles (bags of material inside the cell) or even activating various signal biological pathways. And why is MARCKS interesting in the context of Alzheimer’s? Because when the researchers in this particular study looked at different stages of the mouse model of Alzheimer’s, MARCKS was the protein that was most changed at the early stage of the model, while abnormal phsophorylation of the other proteins was occurring from the middle to the late stages of the modelled condition. That is to say, as the ‘Alzheimer’s-like’ characteristics were just starting to show themselves in the genetically engineered mice, abnormal phsophorylation of MARCK was occurring. And it wasn’t until later in the development of this Alzheimer’s model, that the other 16 proteins were affected. This finding suggested to the researchers that they may be on to something very interesting: a very early event in the biology of Alzheimer’s. Maybe not necessarily the ‘source of the fire’ (in our fire investigation analogy), but something very close to it. 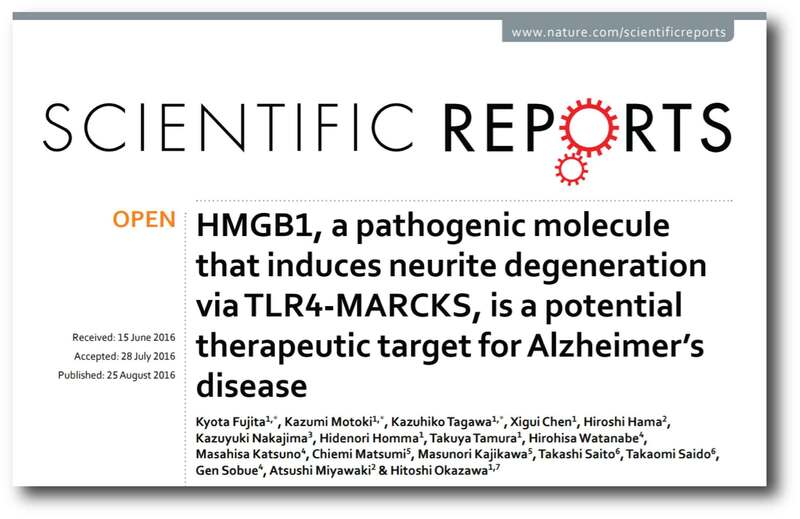 Title: HMGB1, a pathogenic molecule that induces neurite degeneration via TLR4-MARCKS, is a potential therapeutic target for Alzheimer’s disease. Authors: Fujita K, Motoki K, Tagawa K, Chen X, Hama H, Nakajima K, Homma H, Tamura T, Watanabe H, Katsuno M, Matsumi C, Kajikawa M, Saito T, Saido T, Sobue G, Miyawaki A, Okazawa H.
Journal: Sci Rep. 2016 Aug 25;6:31895. In this study, the researchers took the MARCKS protein and looked at the 30 known sites on the protein that can be phosphorylated. They found that 16 of these sites were significantly different when they compared the MARCKS protein that was collected from the ‘Alzheimer’s’ mouse and compared it to the MARCKS protein collected from normal mice. And 9 of the 16 sites were hyperphosphorylated (that is very high levels of phosphylation) in the Alzheimer’s mice before beta amyloid protein aggregation commenced. What is beta amyloid protein aggregation? We often talk about alpha synuclein protein aggregation here on the SoPD in the context of Parkinson’s. In Alzheimer’s, however, a different protein is found to aggregate and cause trouble. While Lewy bodies are a characteristic feature of the Parkinsonian brain, Amyloid plaques are the distinguishing hallmakr of the Alzheimer’s brain. These plaques are clusters of proteins that outside the cells. A key component of the plaque is a protein called beta amyloid. Beta-amyloid is a piece of a larger protein that sits in the outer wall of nerve cells where it has certain functions. In certain circumstances, specific enzymes can cut it off and it floats away. Beta-amyloid is a very “sticky” protein and it has been believed that free floating beta-amyloid proteins begin sticking together, gradually building up into the large amyloid plaques. And these large plaques are considered to be involved in the neurodegenerative process of Alzheimer’s disease. So in the Alzheimer’s mice, the researchers are observing phosphorylation of MARCKS protein before the aggregation of beta-amyloid? And not ony that, they found that 4 of the 9 phosphorylation sites from the mouse research were also hyperphosphorylated in postmortem human brains from people who passed away with Alzheimer’s (compared to healthy non-demented brains). The researchers also found that the phosphorylation of MARCKS at some of these phosphorylation sites results in cells exhibiting signs of neurodegeneration – in the form of loss of synapses and neurites. What causes the phosphorylation of MARCKS at these phosphorylation sites? That’s another interesting aspect of this study. The researchers found that HMGB1 triggers the specific phosphorylation of MARCKS. High‐mobility group box 1 (or HMGB1) is a pro-inflammatory, DNA‐binding protein that can be actively secreted by inflammatory cells. It is also released by dying (neucrotic) cells, and it may be playing a key role in the pathogenesis of Parkinson’s (Click here to read a good review about this). The researchers reported that people with Alzheimer’s have higher levels of HMGB1 in their cerebrospinal fluid (the liquid surrounding their brains) than normal healthy individuals. In addition, they generated an inhibitor of HMGB1 (a monoclonal antibody against HMGB1) which robustly inhibited neurite degeneration in their cell cultures and rescued the cognitive impairments that they observed in a Alzheimer’s mouse model. (Curiously, the researchers noted that the “effect of the anti-HMGB1 monoclonal antibody on the number, area or intensity of the Aβ plaques was minimal”. While there was “almost complete suppression of pSer46-MARCKS, the Aβ plaques were not changed remarkably”). Wow! But this is all in Alzheimer’s, what does any of this have to do with Parkinson’s? Authors: Fujita K, Homma H, Kondo K, Ikuno M, Yamakado H, Tagawa K, Murayama S, Takahashi R, Okazawa H.
Journal: eNeuro. 2018 Sep 4;5(4). pii: ENEURO.0217-18.2018. In this study, the researchers asked whether levels of phosphorylated MARCKS were also raised in the brains of people with Dementia with Lewy bodies. Dementia with Lewy bodies (or DLB; also known as Lewy body dementia), is the second most common type of progressive dementia, after Alzheimer’s disease. It generally begins after the age of 50, and affects about 0.1% of those over 65 years of age. As with Parkinson’s disease, males appear to be more commonly affected than females. Dementia with Lewy bodies causes a progressive decline in mental abilities. Yes, memory is impaired, but typically not as much as one sees with Alzheimer’s disease. Judgment, on the other hand, is usually affected early on in the condition and people with Dementia with Lewy bodies also have sleep disturbances (for example, physically acting out of dreams while one is sleeping), visual hallucinations (most commonly people or animals that are not there), and fluctuations in their levels of alertness and attention. It is the external features of Dementia with Lewy bodies that often cause it to be misdiagnosed as Parkinson’s disease. People with Dementia with Lewy bodies often present Parkinson’s disease-like symptoms such as rigid muscles, slow movement and tremors. We have previously discussed Dementia with Lewy bodies – Click here to read that post. What did the researchers find in this study? The researchers performed a similar analysis as they performed before, but this time on postmortem brains from people who passed away with Dementia with Lewy bodies. They selected postmortem brains with pure Dementia with Lewy bodies pathology – that is alpha synuclein aggregate in neurons but no extracellular Alzheimer’s associated beta amyloid aggregates. They then compared these Lewy body dementia brains with Alzheimer’s brain, and they found that MARCKS levels were high in both (compared to health controls). But curiously, there were regional differences – MARCKS was elevated in the temporal lobe, but not the occipital lobe of the Dementia with Lewy bodies cases, and vice versa in Alzheimer’s brain. Of note, however, was that the investigators found that half of the neurons that had high levels of MARCKS also had high levels of alpha synuclein in the Dementia with Lewy bodies cases. And the other half of the MARCKS-filled neurons had very low levels of (or no) alpha synuclein – suggesting that perhaps MARCKS is present before the appearance of alpha synuclein. They also found a similar result in a mouse model of Parkinson’s. The researchers took genetically engineered mice which have just one copy of their GBA gene and produce very high levels of normal human alpha synuclein. Hang on a second, what does that mean? GBA? There is an enzyme in your body called Glucocerebrosidase which is made by cells using instructions provided by the GBA gene (a gene is a section of DNA that provides the instructions for making a particular protein). 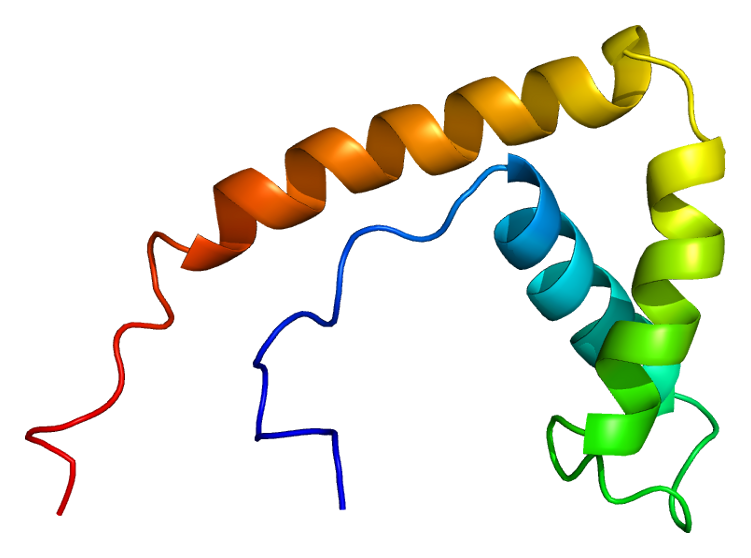 Glucocerebrosidase plays an important role in breaking down old or unneeded proteins. Genetic variations in the GBA gene is one of the most common genetic risk factors for developing Parkinson’s. Everyone has two functioning copies of the GBA gene, but genetic variations in one or both copies of the gene can affect our body’s ability to produce enough of the enzyme. Ok, and these mice also had high levels of alpha synuclein? The researchers used mice that do not produce enough Glucocerebrosidase enzyme to break down excess protein, and they produced excess (way too much) alpha synuclein protein. And that is a bad combination right? Yes, it is indeed. These mice have build up a lot of alpha synuclein. But as with the Alzheimer’s mouse model, in these Parkinson’s mice, neurons containing phosphorylated MARCKS protein were more frequent than those containing alpha synuclein at the very early stage of the Parkinson’s features starting to appear. These results suggested that the phosphorylation of MARCKS could be an early event in Dementia with Lewy bodies or Parkinson’s. Next, the investigators explored the proteins that were upstream of MARCKS. That is to say, they were interested in identifying the proteins that actually activate MARCKS – and they found levels of Erk1/2 were raised in the neurons with high levels of MARCKS. Extracellular signal-regulated kinase 1/2 (ERK1/2) is part of a signaling pathway that is involved with many different functions in cells, as well as activating MARCKS. Click here to read more about ERK1/2 in the context of neurological conditions. Has anyone explored the idea of clinically inhibiting ERK1/2? There is a biotech company called BioMed Valley Discoveries that is exploring this idea. The company is currently testing whether BVD-523 (Ulixertinib) – a novel ERK1/2 kinase inhibitor can be used to treat cancers that carry mutations in the MAPK signaling pathway. The phase I clinical trial results have been published (Click here to read more). It is not known whether this compound can even access the brain though, and the side effects of this treatment do not make it appealing for Parkinson’s (diarrhea (in 48% of participants), fatigue (42%), and nausea (41%)). Ok. And what else did the MARCKS researchers find? In the discussion of their report, the researchers also mention another potentially interesting commonality between Alzheimer’s and Dementia with Lewy bodies/Parkinson’s is the phosphorylation of phosphoglucomutase-1 (PGM1). This enzyme is essential for the conversion of glucose 1-phosphate (generated by glycogenolysis) to glucose 6-phosphate, which is used for energy production by the glycolytic pathway. We can assume that the researchers (or another research group) is following up the PGM1 discovery. But what about HMGB1 and Parkinson’s? Is there any connection there? Title: High expression of the HMGB1-TLR4 axis and its downstream signaling factors in patients with Parkinson’s disease and the relationship of pathological staging. Authors: Yang Y, Han C, Guo L, Guan Q. Journal: Brain Behav. 2018 Mar 25;8(4):e00948. In this study, the levels of HMGB1 protein in the blood (serum) of 120 people with Parkinson’s and 100 healthy volunteers was measured. Both were higher in the folks with Parkinson’s than in the controls. Interestingly, people with Parkinson’s with poor drug treatment outcomes had significantly higher levels of HMGB1 than Parkinson’s patients with more stable drug treatment outcomes. And while no difference in HMGB1 levels was observed between people with tremor‐dominant, akinetic‐rigid, and mixed subtypes of Parkinson’s, the researchers did report a correlation between high levels of HMGB1 and disease duration. Title: High-sensitivity C-reactive protein and high mobility group box-1 levels in Parkinson’s disease. Authors: Baran A, Bulut M, Kaya MC, Demirpençe Ö, Sevim B, Akıl E, Varol S.
Journal: Neurol Sci. 2019 Jan;40(1):167-173. In this study from Turkey, the researchers found that the HMGB1 levels were significantly higher in blood (serum) samples from 30 people with Parkinson’s when compared to 30 control subjects. The researchers proposed the potential use of HMGB1 levels as a diagnostic biomarker. Click here for a good OPEN ACCESS review of the research that has been conducted on HMGB1 in the context of Parkinson’s. Has anyone ever tested HMGB1 inhibition in the clinic? No. Not that I am aware of (and I’m happy to be corrected on this). While attempts to develop HMGB1‐specific antibody‐based therapies have been made (Click here to read more about one example) and shown interesting benefits in pre‐clinical models of neurodegenerative conditions (for example see the Fujita et al report discussed above), there have been no long‐term safety trials in humans yet. The concern is the possibility of eliciting an unwanted immune reaction, which could reduce not only the efficacy of the treatment but also cause dangerous side effects (such as anaphylactic reactions). Are there any natural inhibitors of HMGB1? Title: Glycyrrhizin binds to high-mobility group box 1 protein and inhibits its cytokine activities. Authors: Mollica L, De Marchis F, Spitaleri A, Dallacosta C, Pennacchini D, Zamai M, Agresti A, Trisciuoglio L, Musco G, Bianchi ME. Journal: Chem Biol. 2007 Apr;14(4):431-41. In this study, the researchers demonstrate that glycyrrhizin inhibits many of the functions of HMGB1. And in addition to the report, there is also evidence that glycyrrhizin protecting against neurotoxic models of Parkinson’s (Click here, here and here to read more about this). Fantastic! Where can I get me some of this liquorice extract? The binding of glycyrrhizin and HMG1B is weak and the researchers who conducted the study suggest that the findings may “direct the design of new derivatives with improved HMGB1-binding properties“. In addition, glycyrrhizin has a wide range of functions, such as inhibition of phospholipase A2 activity, platelet aggregation suppression, and 11‐beta‐hydroxysteroid dehydrogenase inhibition (this is an enzyme that converts cortisol to cortisone). As a result of these extra functions, use of glycyrrhizin has been associated with several side effects, including hypertension, and hypokalemic‐induced conditions. Given this situation, glycyrrhizin is probably not recommended for use in Parkinson’s, especially in older individuals with additional comorbidities. Click here to read more about the concerns regarding the use of glycyrrhizin. Identifying the earliest events in the biological cascade that results in the clinical presentation of the features of Parkinson’s would be a tremendous boost to not only our understanding of the condition, but also our ability to stop Parkinson’s in its tracks. Recently, researchers in Japan have identified some of the biological events that may occur before the cardinal features of Alzheimer’s start to appear, and these events may also relate to Parkinson’s and Dementia with Lewy bodies. Efforts are now being made to identify methods of potentially inhibiting these early biological events to determine if these actions will impact the conditions. This post felt rather chaotic at times during the preparation. There was simply too much biology/results and so many different interesting directions the story could have gone in – I hope it all makes some kind of sense. The take home message is simple: Researchers are identifying early biological events in the development of neurodegenerative conditions and knowledge of these events could shape future treatment directions. It is a fascinating area of neurodegenerative research (early biological events/triggers) and it raises so many fascinating questions (such as are MARCKS present in the brains of people with REM sleep disorder brain? This is considered to be a precursor to Parkinson’s in some cases). I find myself eagerly awaiting the next step in the process of this particular aspect of Parkinson’s research. Hopefully 2019 will provide us with many next steps and also further clarity. ME: What’s the most amusing case you ever had? FIRE FORENSICS INVESTIGATOR: (Without pause to think) There was a fire on a boat in a harbour (in a foreign country). FIRE FORENSICS INVESTIGATOR: It burned for hours and then sunk to the bottom of the harbour. It sat there for 3 days, before the authorities pulled it out and put it on the dry docks. The insurance company asked me to fly over and have a look. My plane arrived late, but I asked the taxi driver to swing me by the harbour for a quick look at the boat. I have to admit I didn’t see too much suspicious about it upon initial visual inspection, but it was rather dark though. ME: Ok. This all sounds rather straight-forward. What was so amusing about this situation? FIRE FORENSICS INVESTIGATOR (with a slight smile): Well, I went off to the hotel and checked in. And that night the boat spontaneously caught fire again. ME (with a smile): I see. EDITORIAL NOTE: The information provided by the SoPD website is for information and educational purposes only. Under no circumstances should it ever be considered medical or actionable advice. It is provided by research scientists, not medical practitioners. While many of the drugs/treatments discussed on the website are clinically available, they can have significant side effects and may affect the efficacy of other treatments. Any actions taken – based on what has been read on the website – are the sole responsibility of the reader. 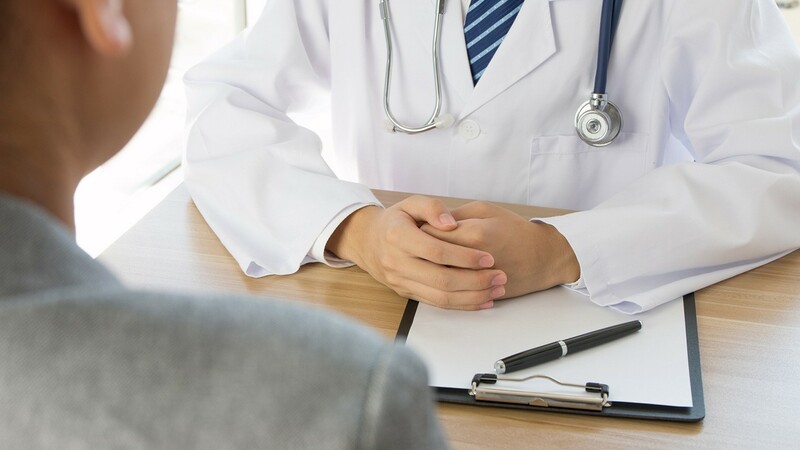 Any actions being contemplated by readers should firstly be discussed with a qualified healthcare professional who is aware of your medical history. While some of the information discussed in this post may cause concern, please speak with your medical physician before attempting any change in an existing treatment regime.